SHANGHAI—China’s rules requiring foreign companies to form joint ventures with domestic partners are among the chief targets of the Trump administration’s looming tariffs against Chinese imports. The administration contends these joint ventures—a longstanding complaint of many U.S. firms—force companies to divulge their trade secrets in several sectors, such as autos, where Beijing has a goal to dominate the building of electric vehicles. “Technology transfer pressures have intensified as China has sought to develop expertise in the manufacture of new energy vehicles (NEVs), which includes plug-in hybrids, electric batteries and fuel cell vehicles,” U.S. trade representative Robert Lighthizer said in his report last week. China signaled that it has no short-term plans to ease rules limiting foreign auto makers to a maximum 50% stake in passenger car manufacturing operations here, despite calls by the U.S. to open its market. China’s industry minister Miao Wei told business executives at the China Development Forum that the lifting of the ownership cap would come gradually—first with commercial vehicles, then passenger vehicles, a person familiar with the matter said. Mr. Miao didn’t mention specific timelines, the person said. The China Development Forum, which ended Monday, is an annual gathering of top foreign business leaders and senior Chinese officials. This year’s event came as the U.S. and China exchanged verbal barbs over Washington’s threat to slap tariffs to address trade imbalances—and as senior officials of both countries negotiated behind the scenes to improve U.S. access to Chinese markets. Most auto makers have grudgingly accepted joint ventures as the cost of doing business in the world’s largest auto market. Tesla Inc. is an exception, so far declining to build a factory that would require it to share its electric technology with a Chinese partner. That means Tesla buyers in China are only able to buy imports and must pay a 25% tariff over the sticker price. Beijing sees electric vehicles as more than a way to ease pollution; it sees them as a strategic initiative to make its automotive industry a globally relevant force, and has mandated all manufacturers in China start building electric vehicles by 2019. Matt Tsien, General Motors Co.’s chief of China operations, said at a recent round table interview that GM keeps its best technology in the U.S., though it does contribute some technology to its Chinese joint ventures. But GM and other auto makers have been vocal in complaining about the mandates to build electric vehicles, on grounds there is tepid consumer demand. 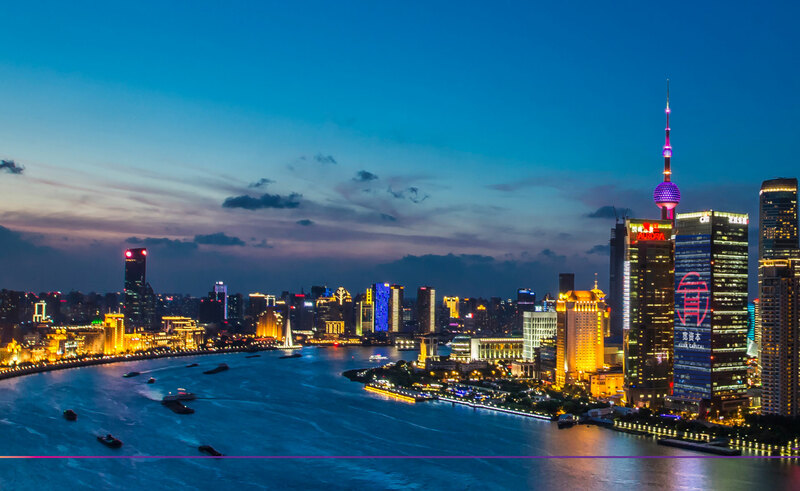 Speaking in Shanghai in September, GM Chief Executive Mary Barra argued that manufacturers should be free to respond to market demand and roll out EVs in their own time. Though broadly opposed to the restrictions which China places on foreign players, most auto makers have come to depend on China for sales. GM sold 4 million cars in China last year, out of 10 million globally, and recently pulled out of other international markets, including Europe and India. 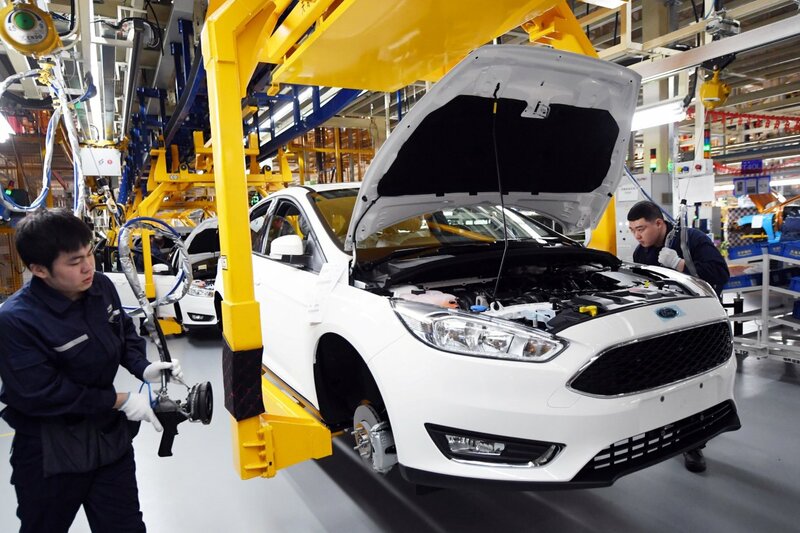 Ford Motor Co. sold 1.2 million vehicles in China last year, out of 6.6 million globally. A senior U.S. official said foreign companies have little choice but to comply with China’s authoritarian government to retain access to a valuable market. “Very few companies are willing to call the Chinese out on this,” the person said, which makes it the job of the U.S. government to do so. Both GM and Ford could see sales dented by the trade measures, analysts say. South Korean auto maker Hyundai Motor Corp.saw sales fall 34% in China last year amid heightened tensions between Beijing and Seoul. “This will likely impact the American companies who sell millions of cars today in China,” said Bill Russo, chief executive of Shanghai consultancy Automobility and a former Chrysler executive. Chinese officials have decried the Trump administration’s depiction of Chinese trade practices, saying the accusations are baseless. Joint ventures are also required in an array of other areas, including cloud computing, a service which provides data storage, computing and networking resources over the internet. Cloud operators such as Amazon.com Inc. and Microsoft Corp. must join with Chinese companies, with their investments capped at 50%. The partnerships effectively force U.S. companies to train the employees of their Chinese partner how to operate their complex technology, forcing them to “provide their proprietary cloud computing technology, brands and know-how to their Chinese partner, in exchange for a fee,” the U.S. trade representative’s report found. Joint ventures aren’t the only means of technology transfer. 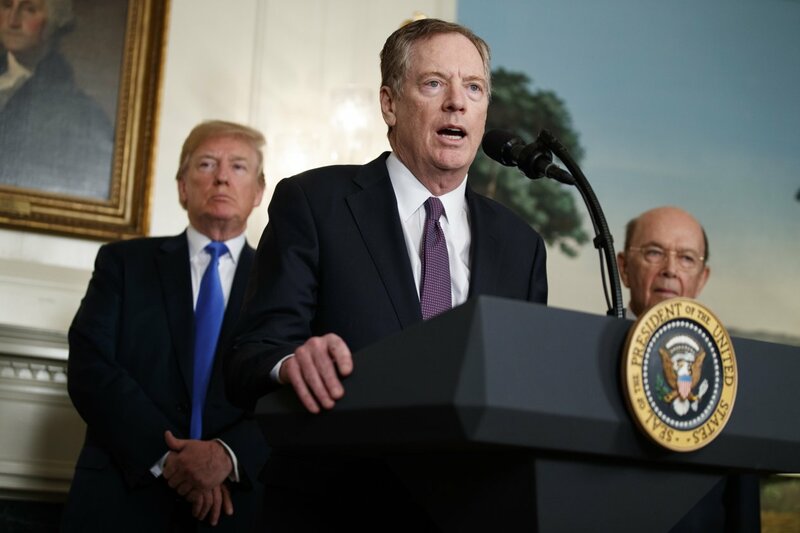 Acquisitions of U.S. companies by players with Chinese interests is another way China can get its hands on American technology, Mr. Lighthizer’s report said. Unlike the automotive sector, semiconductor companies aren’t required to form partnerships with Chinese companies to do business in the country. But China has become active in pursuing foreign semiconductor companies, a trend also viewed with concern by the U.S. trade representative. In 2016, a Chinese consortium backed by state capital bought OmniVision Technologies, which manufactures CMOS image sensors, for $1.9 billion, the report said. In 2015, another Chinese consortium backed by government capital purchased Integrated Silicon Solution Inc. for around $765 million, the report said. Such moves have triggered concerns in Washington and the government has blocked attempts by Chinese interests to buy makers of chip technology used in mobile phones, military equipment and other systems. —Yoko Kubota and Charles Hutzler in Beijing and Liza Lin in Shanghai contributed to this article.